Stunning range of outdoor Fire Pits and Firebowls in Corten Steel and Black Steel finishes. Solid fuel burners and propane gas options. 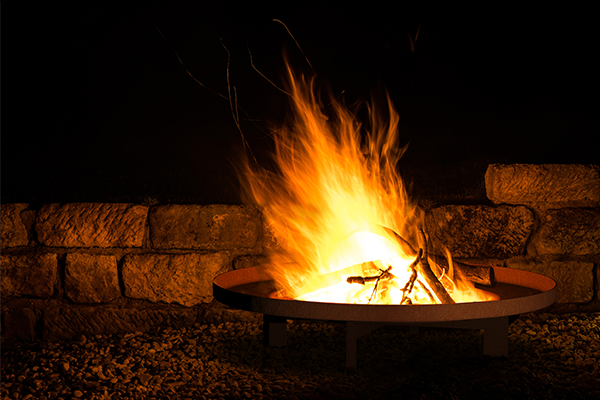 Our range of Fire Pits and Fire Bowls are ideal for integrating into a garden seating area or can be left freestanding on a hard surface or patio. Firebowls are a simple yet striking means of creating heat outside and offer a romantic, natural lighting effect. The solid fuel firepits and firebowls and be used with logs, coal and charcoal and are very easy to maintain. We also offer a range of outdoor Gas Fire Pits for use with a propane gas cylinder for total control of the flame intensity.